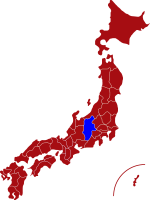 Nagano prefecture is located in central Japan and surrounded by the three ranges of the Japanese Alps. Easily accessible from major cities such as Tokyo and Nagoya, Nagano is your gateway to mountain paradise. During the green season, enjoy a wide variety of hiking trails with amazing views of the Japanese Alps. In winter, experience some of the world’s best powder snow in the ski resorts of the 1998 Winter Olympic Games, such as the Hakuba Valley, Shigakogen and Nozawa Onsen. Nature-lovers flock to Kamikochi, the national park at the base of the Northern Japanese Alps, and the Jigokudani Monkey Park, where wild monkeys bathe in hot spring baths. Those interested in Japanese history and architecture will want to see National Treasure Matsumoto Castle, Zenkoji temple and the Nakasendo road. Each season brings new life to these heritage sites: from pink cherry blossoms in spring and verdant forests in summer, to wild autumn colors and white carpets of snow. For more information about Nagano prefecture, see their official tourism website. Rail - The journey time from Tokyo to the prefecture's main hub, Nagano Station, takes less than 90 minutes on the JR Hokuriku Shinkansen. 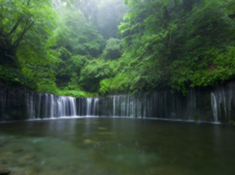 Shiraito Waterfall - Ground water resurfaces and falls in delicate white strings around a large, tranquil pool in the heart of Karuizawa’s woods. 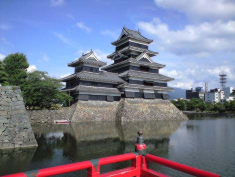 Matsumoto Castle is one of only 5 National Treasure Castles in Japan. The castle stands tall in front of the majestic Northern Japanese Alps and commands far-reaching stunning views. 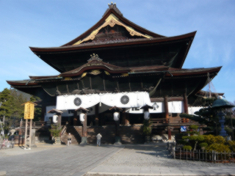 Zenkoji Temple is located in Nagano City and is one of Japan’s oldest and largest temples, with over 1,400 years of history. Maguse Onsen is tucked away in a valley of Northern Nagano. This open-air hot spring has amazing views of the surrounding landscape. 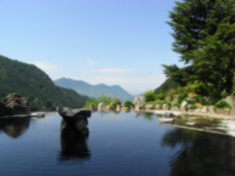 Nagano has the highest number of day-use hot spring facilities in Japan.